For this weeks blog we have our favourite folding bikes that are currently available. So for all you fellow commuters who have to regularly endure standing pressed up against a random strangers armpit and discard any boundaries of personal space this weeks blog is just for you. Folding bikes are not reserved purely for Rapha wearing investment bankers so we have tried to give an option for all budgets. 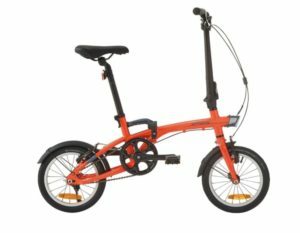 The original and most peoples perception of what is meant by a folding bike. 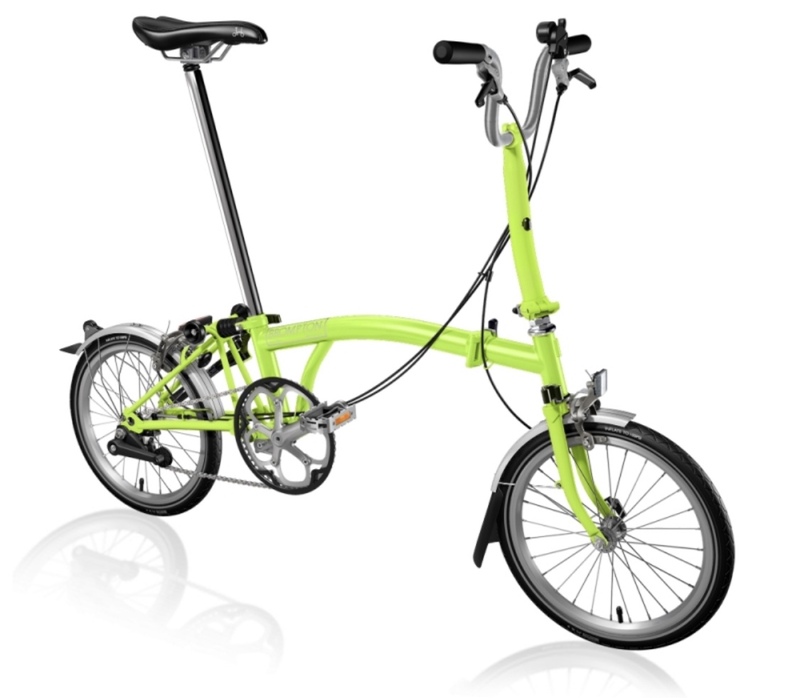 The UK classic brand Brompton are top of the pile and the most expensive bike in our list. They provide a single frame size running on a set of comedy sized 16 inch wheels but allow you to then customise the bike with colours, number of gears and handlebar styles. The bikes are effortless to fold and relatively lightweight. 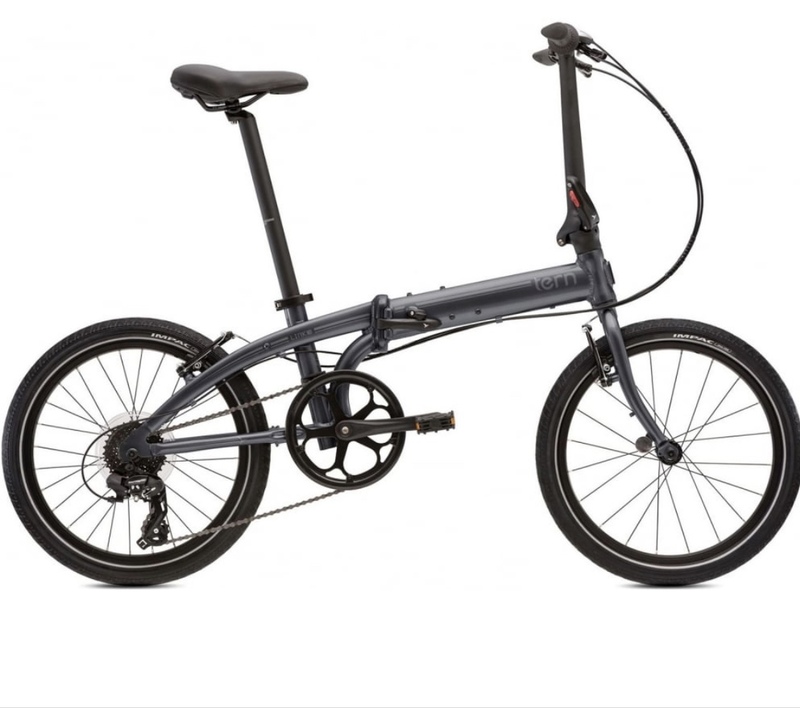 The challenger in the line-up and a huge difference in price between this and the Brompton. It has a 6 gear system built into the hub and comes with mudguards and a saddle height that can accommodate all but the tallest of cyclists. Styling wise it steals much of its cues from the Brompton but fails to fold down into quite such a small package when commuting. A similar proportioned bike to the B’Twin with a somewhat ugly cabling system running up the elongated handlebar stem. 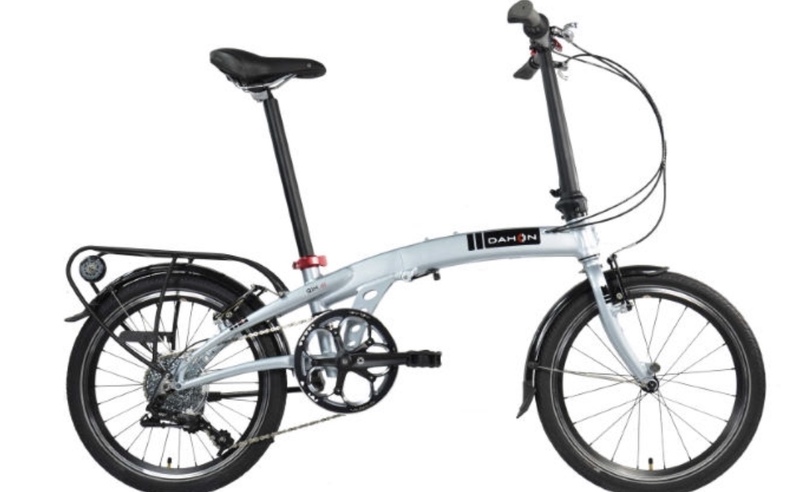 The frame is aluminium sporting a 7 speed Shimano Tourney set of gears but comes complete with mudguards and a rear pannier that certainly makes it versatile but contributes to a bucket load of extra weight resulting in it tipping the scales at 13kg. Coming in under the price of a Brompton this unit features a very effective folding mechanism that leaves it very compact for commuting. 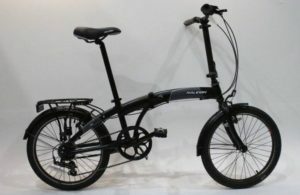 The rear gearing is near standard bike specification coupled with a larger wheel size than some means when on the move you can make good progress albeit somewhat hindered while carting the bikes around in folded state. Folded the Tern comes in bigger than the class leading Brompton but compact enough to be practical while on the move with the bike folded. With a geared hub on the back the rear and Shimano gear set but no mudguards or rear pannier Tern keep the weight down but sacrifice some of the functionality of other manufacturers with this approach.